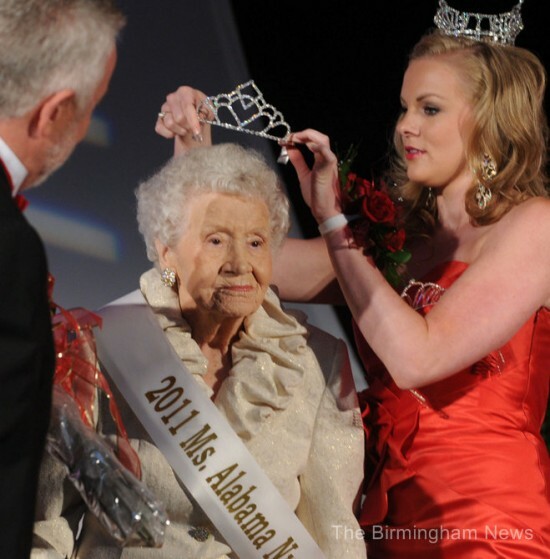 Felma Schrimshire, 100, was named the winner of the 2011 Ms. Alabama Nursing Home pageant, out of 75 grey-haired contestants from across the state. 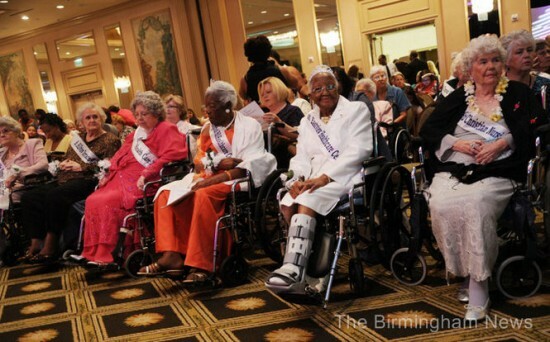 They may have more grey-hair than your average pageant participants, but the ladies who competed in the Ms. Alabama Nursing Home contest proved they have just as much style and grace. The top ten finalists gathered at the Wynfrey Hotel in Hoover, for the last stage of the competition. 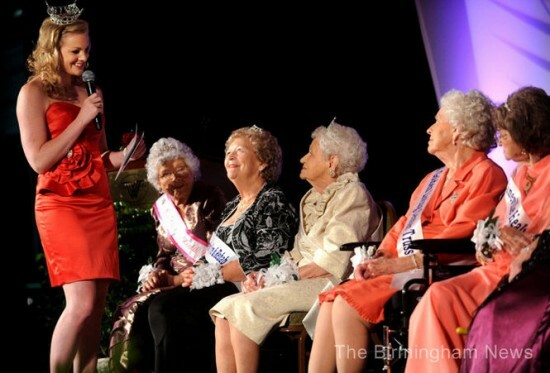 Here, the judges and an enthusiastic crowd evaluated the senior beauty queens on their outlook on life, as well as poise and personality. After a 15-minute interview in front of a panel of judges, contestants were asked to answer a surprise question. In case you were wondering, this particular pageant didn’t include a swimsuit competition. 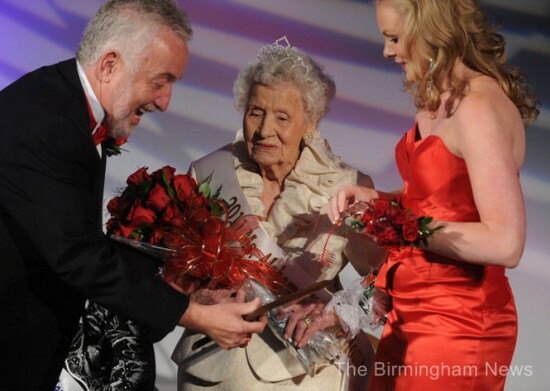 100-year-old Felma Scrimshire won the judges’ votes with her incredible life story. She has traveled to every one of 50 of the US states, seen the Canadian provinces and much of Europe, served in the army for a year, during World War 2, and retired from a civil service job in 1976. A resident of the Andalusia Manor nursing home, Felma will serve as spokesman for nursing home residents throughout Alabama.